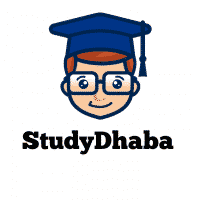 4100+ Solved MCQ pdf UPSC Prelims Previous Papers (1979-2016) – hello friends Welcome to studydhaba.com . Here We are sharing 4100 + Questions For UPSC prelims 2018 Exam. You can Download This book From Download link Given below . How to effectively cover all 43 NCERT books? It is a well-known fact that most questions asked in the IAS prelims has its roots in NCERT books. And for the past 5 years, here is why NCERT 4100 has been THE BOOK to cover NCERT. All 4100 UPSC grade questions are taken directly from NCERT Books thereby covering all 42 NCERT books completely. Yes, 3932 questions are tagged with explanatory answers ensuring concrete hold of all topics under a single book. Introducing the 6th updated edition of NCERT 4100, compiled specifically for the IAS 2017 Exam.